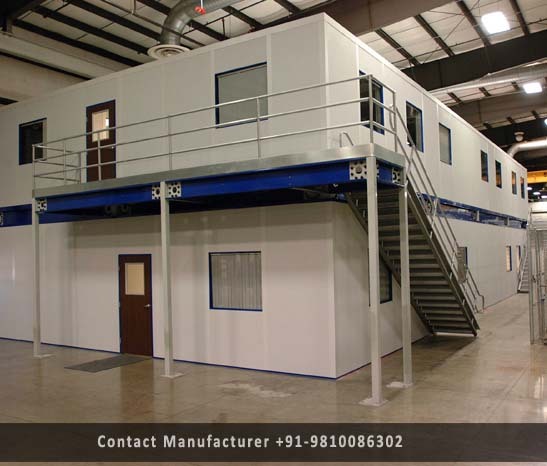 Prefabricated Double Storey Building Manufacturer in Delhi, Prefabricated Double Storey Building Supplier in Delhi, Prefabricated Double Storey Building in Delhi. Blessed with the highly sophisticated infrastructural facility, we are capable of manufacturing and supplying temporary House. Designed with most unique in compliance with the international standers quality and norms, this range is extensively used in various industries. In order to manufacture this range, we use high-grade raw material and sophisticated technology that assures its durability, UV radiation & water resistance and perfect finish. This is well-known in the market due to its dimension accuracy, heat resistance, robust construction, easy installation and relocates ability.